Opening Reception and Musical Performance – Friday, July 7 from 7:00 p.m. until 9:00 p.m. The works of Japanese artist Yuki Ideguchi serve as RESOBOX’s first exhibition at their newest location in Chelsea. Because Japan has four distinct seasons, each with its own natural beauty, Ideguchi’s subjects primarily center around nature. 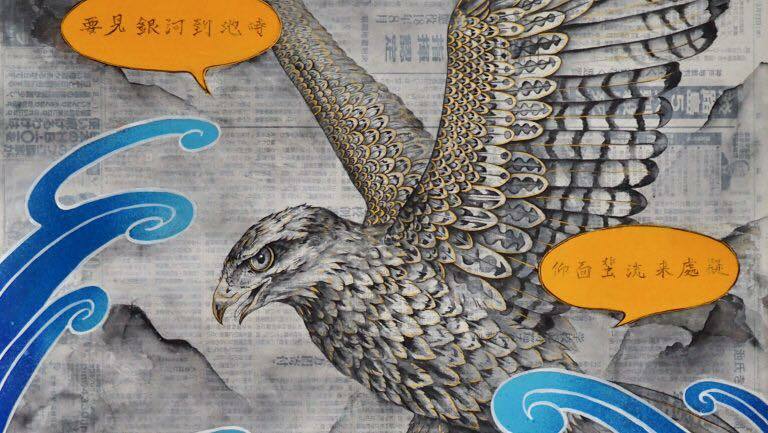 He also draws from Chinese and Japanese mythology and folklore, as well as cultural connections with other countries. One of the most important themes of his work is “Life and Death.” The concept of life and death exists in different cultures, but, in Japanese Buddhist philosophy, one death means the beginning of a new life, the principle reincarnation. A special music performance will be held during the opening reception from 7:30 p.m. until 8:30 p.m. Keeping with the theme of Ideguchi’s exhibition Waterfronts, flute-and-guitar duo Anne Dearth and Kenji Haba will play pieces inspired by water and the sea, written by Masatora Goya, Osvald Golijov, and Toru Takemitsu.